The Fun Office- everyone wishes they worked in one. 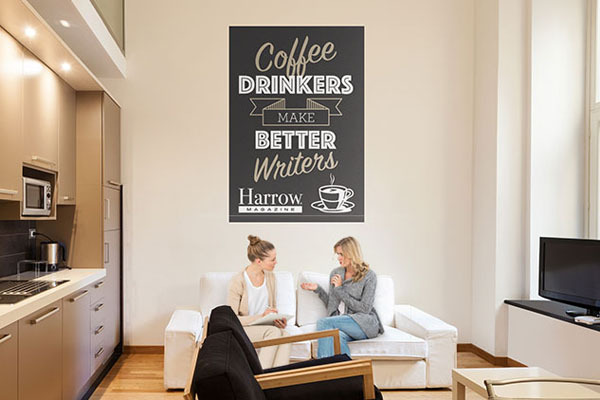 Owners and employees in small offices everywhere are making the move towards adding new artwork, branding and fun touches to their office spaces. Why? Office culture is one of the big reasons. A fun, supportive, educational and welcoming environment is a productive work space. An office that is designed in such a way that it speaks to the values and persona of the company helps to promote and empower your employees. Gone are the archaic ways of boring cubicles or rows of desks. The lines of social life and work life are blurring for everyone and many businesses are finding that when it comes their staff, creative, stimulating and motivating fun offices are the way to go. Now we aren't saying you need to install an indoor slide or replace the water cooler with beer taps. When you're a smaller company or working with a tight budget you likely can't rationalize swapping the boardroom table for a ping pong table. That's okay, you'll get there. StickerYou is a budget friendly way to introduce a brand personality into your work environment. Check out some of the ways you can customize business stickers and watch what we did for this local tech start-up company (our neighbors) Parsel. StickerYou is a quick and easy online platform for ordering all your custom sticky products- including custom wall decals, floor decals and more for your office. simply upload your logo or design, choose the shape, size, quantity and material. We will print, cut and ship it right to your door in a matter of days. It's THAT easy.